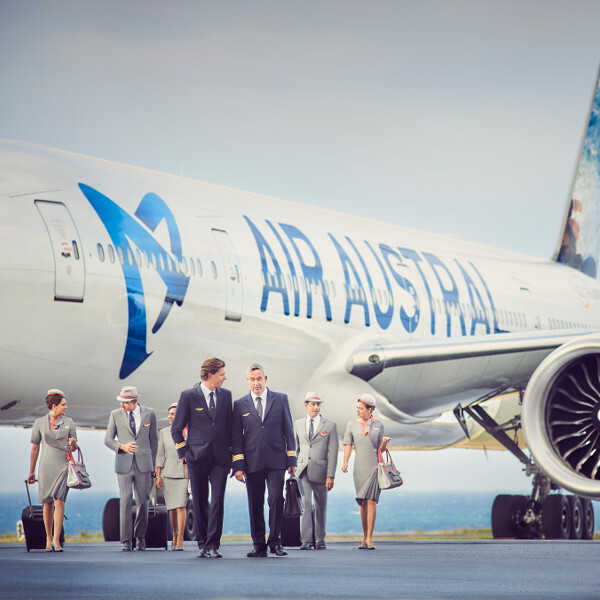 Since its creation in 1990 Air Austral has been in operation for over 25 years. Voted the “best airline” at the Tourism Victories Ceremony in 2017, this innovative airline is a firm favourite for family travellers. As an E.U. airline, Air Austral adheres to strict E.U. operational and safety standards. Rest assured, the airline’s commitment to customer service and comfort will guarantee you a pleasant flying experience. On selected routes, take advantage of an extended choice of special meal options, birthday treats and even champagne in selected classes. Onboard Wi-Fi and wide sleeping berths (on selected aircraft) are available for a comfortable journey. Founded in 1990, Air Austral is a French airline based on Reunion Island in the Indian Ocean. Since its inception, the airline has rapidly developed, achieving standards on a par with the very best international airlines. They have a well-renowned reputation for outstanding service quality. Along with their hospitality and friendly staff, their new fleet of aircraft, comfortable leather-lined cabins and top-quality service make up some of the airline’s key assets. 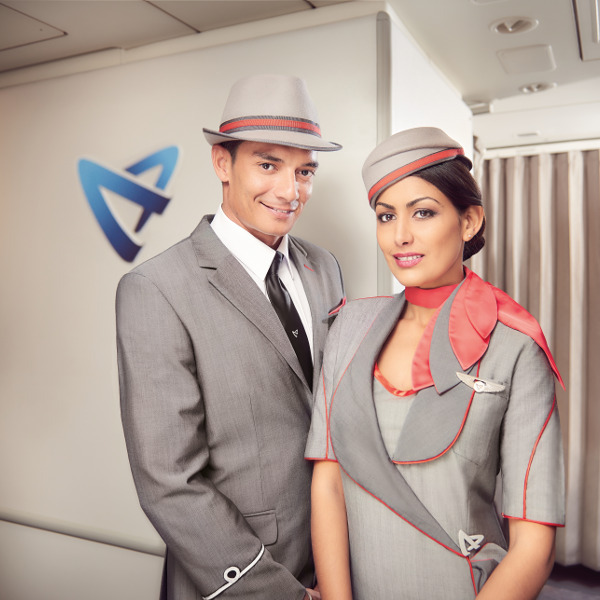 Now more than ever, Air Austral has established itself as a major airline, strengthening ties across the Indian Ocean. They operate scheduled flights between mainland France and Reunion and other islands in the region (Mauritius, Mayotte, Comoros, Madagascar, Seychelles), as well as South Africa, India, Thailand and China. Book Air Austral flights to Paris, Reunion, Mauritius and other exciting places! The Air Austral checked baggage allowance is calculated according to weight. The number of pieces is unlimited on all routes. Please note each piece of checked baggage is limited to a maximum of 32 kg. Excess baggage can be purchased up to 24 hours prior to departure at 30% discount. This can be arranged through Travelstart. Baggage specials are available for sports equipment such as golf bags, diving bags, surfboards, bicycles and paragliders. For details visit their website. Hand luggage is limited to one bag per passenger. Dimensions may not exceed a total of 115 cm (height + width + length). The maximum weight allowance is 10kg on long-haul flights, and 5kg on regional flights. Additionally, a laptop computer or ladies’ handbag may be carried. If travelling with infants under 2 years old, additional baggage of under 10kg is allowed. Receive a 30% discount when purchasing additional baggage allowance up to 24 hours prior to departure. For long-haul flights, check-in for Air Austral opens 4 hours prior and closes 1 hour prior to departure. For regional flights, check-in opens 2 hours prior, and closes 45 minutes prior to departure. Air Austral online check-in is available from 24 hours prior to scheduled flight departure. Passengers flying Business Class (Club) or Premium Economy (Confort) have access to priority check-in at a dedicated counter, and are also invited to relax in the premium lounges before your flight. Roland Garros Airport in Réunion offers passengers the Guétali Lounge. Upon being welcomed by their crew members, you can sit back and enjoy your flight. You will be handed a Travel Kit to ensure your comfort. It will include everything needed for a pleasant in-flight experience. Upon being welcomed on board you will be served a welcome drink. You will also be handed a “Confort” travel kit with personal care items for a smooth and comfortable in-flight experience. If you wish to work during your flight, sit back and turn on your reading light. You can fully enjoy your flight with the latest movie releases available on individual iPads, personally handed out by crew members. Enjoy a touch of French cuisine, with a choice between two hot meals (meat or fish) inspired by regional culture on flights departing Reunion Island. Fully-convertible seats will ensure you get a well-deserved rest, with ample legroom and personal space. Enjoy the specially-designed Air Austral travel kits to keep you refreshed and relaxed throughout your flight. Along with large personal screens boating a library of audio and video programmes, Business Class travellers can enjoy a delicious 3-course menu and a list of fine wines. For any special meal requests or assistance, please pre-order your meal at least 48 hours before flight departure date. All flights offer a variety a newspapers and magazines and refresher towels. 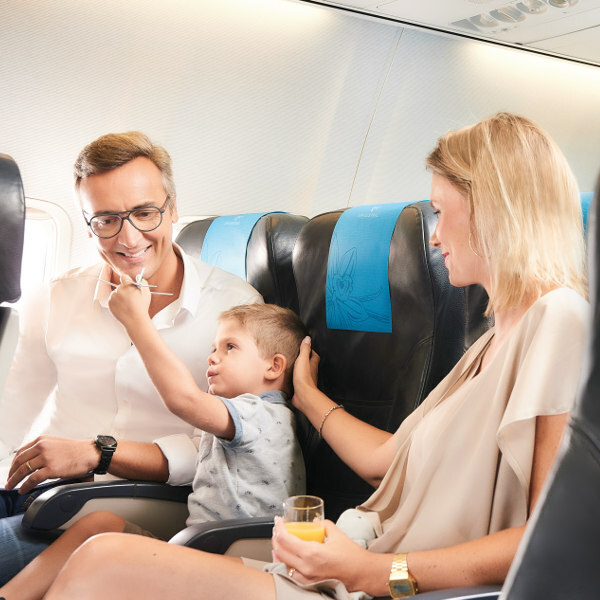 On long-haul flights, onboard entertainment options include movies, interactive games and an on-screen shopping app, where you can purchase products, delivered right to your seat. Animals are allowed to be transported on Air Austral flights. Dogs and cats weighing under 5kg may be placed in the cabin. Visit Air Austral’s website for regulations on pet travel. • Mainland France: Paris & Marseille. Thanks to its partnership with SNCF-TGV Air, Air Austral offers routing of its passengers to/from 19 provincial cities as well as to/from Brussels. Caviar: at a charge of €35. Let your taste buds guide you through a moment of pure delight. Indulge in Oscietre Caviar served with blinis and cream. Cheese & Wine: consisting of a linen napkin, a ¼ bottle of Mouton Cadet wine, 6 cheeses, honey, grapes, Normandy butter, a salad, gourmet dessert of 3 petits fours, 2 rolls and crackers and a box with 2 chocolates. This is available at a charge of €20.00. Champagne: Request your Champagne Aperitif 72 hours prior to departure - ¼ bottle of Champagne Nicolas Feuillatte accompanied by savory canapés at a charge of €15.00. Birthday Treats: celebrate a birthday yourself or treat someone special with a cake served with your beverage of choice, at €12.00. Comfort and Relaxation: book your preferential seat for extra comfort, exit row (or duo seating on wide-bodied aircraft) up to 72 hours prior to departure. Extra Baggage: excess baggage can be purchased up to 24 hours prior to departure at 30% discount.